It’s now reported that she was radicalised and travelled to Syria to join the IS, then came back to Pakistan and went to Lahore as part of a militant network. In the aftermath of Mashal Khan’s lynching, it is vital that we re-examine some of our assumptions about religious extremism in our society. We can no longer assume that extremism and violence are the territory of the uneducated or the lower classes. The men who beat Khan to death were educated; university employees, students and even a political figure or two were included in the First Information Reports (FIRs). Another case has surfaced that challenges our assumptions even more – that of a young medical student called Naureen Laghari. Laghari, who was studying to become a doctor at Liaquat Medical University in Hyderabad, Sindh, had been reported missing by her father in a suspected kidnapping. It then emerged that a terrorist had been killed in an encounter in Lahore, and that Laghari’s student card and her father’s National Identity Card (NIC) were found at the scene. A woman was also arrested at the scene. Soon the reports claimed that the arrested woman was the missing Laghari, and that she’d been married to the man killed in the encounter, Ali Tariq. 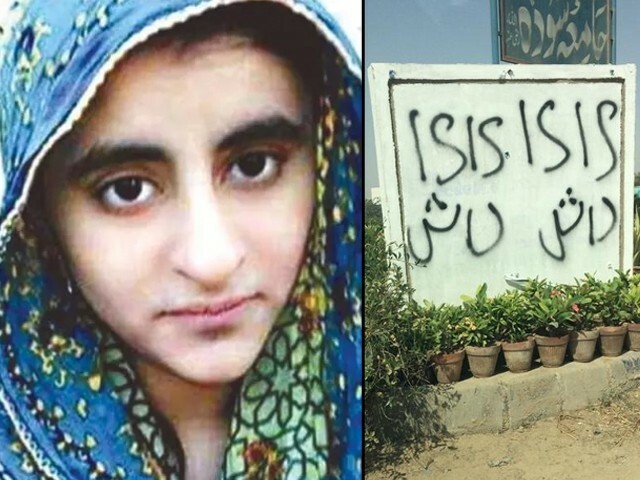 It’s now reported that she was radicalised and travelled to Syria to join the Islamic State (IS), then came back to Pakistan and went to Lahore as part of a militant network. Meanwhile, Laghari’s family is making no statements to the press, but a formal identification of the woman in question is to come soon. Laghari’s video statement in which she says that she went to Lahore on her own free will and that she was never kidnapped would shake anyone’s soul; so young-sounding and innocent is her voice. But you’re quickly relieved of the illusion of innocence when reading her confession that she was meant to be a suicide bomber in the attacks against the Christian community this Easter in an official statement released by authorities on Monday, April 17th. She describes receiving suicide vests, grenades, guns and bullets from IS handlers, which were to be used in this alleged attack in a church, a chilling reminder of last year’s bomb attack on Easter Sunday at a park in Lahore which killed scores of Christians celebrating their highest holiday. There are people who find it unthinkable that a young Sindhi woman could become a militant and join IS. Sindh has long been considered the land of peace and tolerance, and Sindhi women are supposed to be symbolic of that peace and tolerance. A young woman from a stable, educated family, in the midst of her medical studies, whose best friend is supposedly a Hindu and who was known by all accounts to have friends from different religions and a good academic record, doesn’t seem a likely candidate for radicalisation and terrorism. Yet the case of Laghari, whose facts are still being ascertained, echoes the case of Dr Aafia Siddiqui, the Pakistani MIT-educated scientist who became radicalised, joined the al Qaeda, and was arrested and jailed for terrorism in 2010. The same questions were asked of her case – why would a US-educated scientist with three children become an international terrorist? Laghari’s family denies that she has become part of a militant network, and her father says that she showed no signs of radicalism. But if you look at the pattern of extremism and its burgeoning influence in Sindh, madrassas exist in huge numbers in rural Sindh, competing for followers with more traditional power structures of landowners and political parties. Wall chalkings and flags and banners extolling religious parties are clearly visible, illustrating their visibility and reach. Such movements may not have had as much appeal to ethnic Sindhis in the beginning, but like a virus, extremism will infect its host sooner or later. And being ethnically Sindhi cannot inoculate our youth against being seduced by the siren call of extremism in these times of transition and global conflict. Being female doesn’t inoculate you against it either. There are well-documented cases of women joining IS as jihadi brides. Tabish Khair’s excellent novel ‘Just Another Jihadi Jane’ is a great insight into the psychology of what would make a British Muslim girl give up everything — family, education, friends, normality — in order to go live in the IS. There is no reason to think that a young woman in Pakistan would not make the same choice, if she were sufficiently groomed. Since Laghari married a man involved in terrorism, we can imagine how they might have met on the internet, developed a correspondence, built an understanding between themselves, and gone down the twin path of love and terrorism. Parents should be very vigilant about their children’s activities on the internet. Just as parents of British Muslim children have been warned to look out for signs of radicalisation, Pakistani parents too must watch out for both their sons and daughters. Especially vulnerable are educated children, who can access radicalising materials and communicate with groomers and radicalisers over the internet. Both genders are being targeted, so awareness is absolutely essential for the parents of both boys and girls, regardless of ethnicity, education, or outwards signs of normality. Schools and colleges that cater to the middle classes and up must also step forward to challenge this phenomenon. Just as children of lower classes and different ethnicities had to be rescued from being sent across the border to Afghanistan to serve as jihadis, another challenge for our children has cropped up for the 21st century – the appeal of fighting for IS. 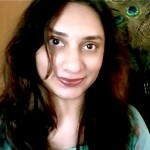 The fate of Khan and the mysterious case of Laghari prove that the battle is already being fought on our home grounds. A massive problem exists and those who are responsible for allowing this to blow up to the proportion we now see……are fumbling around only treating the symptoms. Our politicians are either inept or complicit, our justice system is hopelessly broken, our security agencies are trying but not hard enough…..and the incompetence of our media only helps the extremist elements.